Our goal is to help online retailers ship as efficient and fast as possible. Therefore, we’ve made it possible to configure and save your printer settings no matter what printer you use. You can now print your shipping labels without having them popping up in a new window as a PDF. Downloading labels before printing is not necessary anymore! By connecting your printer to SendCloud you can immediately profit from it. You print labels in one click which will saves you time. Your shipping labels will roll out of the printer immediately, after incoming orders are imported. The only thing you need to do is to install our print application and set up printer settings It just takes a few minutes. The SendCloud App is compatible with Chrome and Firefox. Follow the instructions beneath to configure your printer settings. 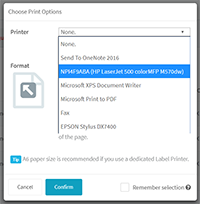 Go to the ‘’ready to print’’ tab and click on ‘’printer settings’’ (along the print button on the top of the page). Click on ‘’download the app’’. 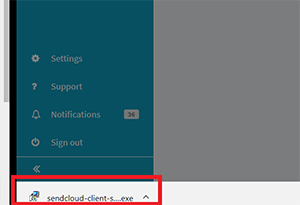 Install the SendCloud App by opening the downloaded file. The installation wizard will start and will guide you through the process. Don’t worry, this will only take one minute of your time. After installing the client, make sure that the program is running on your computer. If that's the case, return to your SendCloud account. NOTE: The SendCloud App is a small application that needs to run on the device that you use to print your labels. This application makes it possible to detect your own printer and connects it with your SendCloud account. No worries, the application is safe to use, and runs on the background of your device, so it won’t drain your battery. 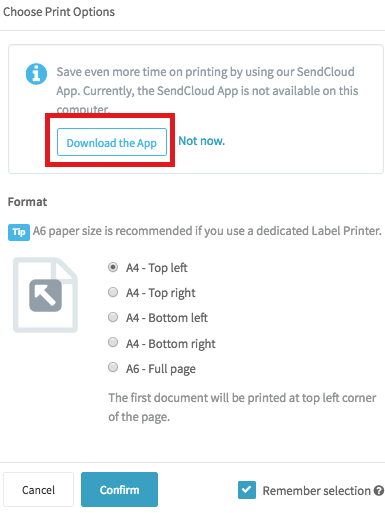 After installing and running the SendCloud App, select the printer and format you want to use to print you shipping labels and afterwards select the ‘’remember selection’’ option. This way, the pop-up won’t appear next time you want to print your labels. It will automatically use these settings when printing labels in the future. If you ever want to change these settings, just click on ‘’printer settings’’ and adjust them. From now on, your labels will automatically be printed when you hit the print button in your 'incoming order' overview. So extra screens and PDF files popping up are history!